A meteor carrying an unknown infection, lands outside a Small Californian community, bringing terror and death. 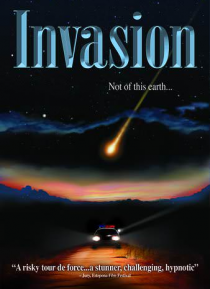 Just after midnight, a local rancher named Larry Jenkins discovers the meteor and calls the police. Arriving at a desolate forest road miles out of town, Inspector Bardo discovers that Jenkins has been infected by the alien organism. The officer is savagely attacked and infected. Both me… n head towards Lawton, terrorizing and contaminating everyone they encounter.